If you had to choose the most beautiful phase of your life, which would it be? Your childhood, you marriage or your maternity? If you chose the third, then you are among the many women who love this phase in their lives, and rightfully so! Motherhood is a blissful experience and yes, it is also filled with trials and tribulations, but mostly it is filled with love and satisfaction. In fact, when a woman is pregnant she experiences a plethora of emotions that make her glow and prepare her for a truly blissful journey. This period in a celebrity's life is no different. Despite being in the public eye, they also look forward to a blissful motherhood and quality time with their children. But one of the most interesting phases in a celebrity's pregnancy is perhaps the pregnancy itself. They experiment with different looks and some of them redefine traditions! Wondering who we are talking about? 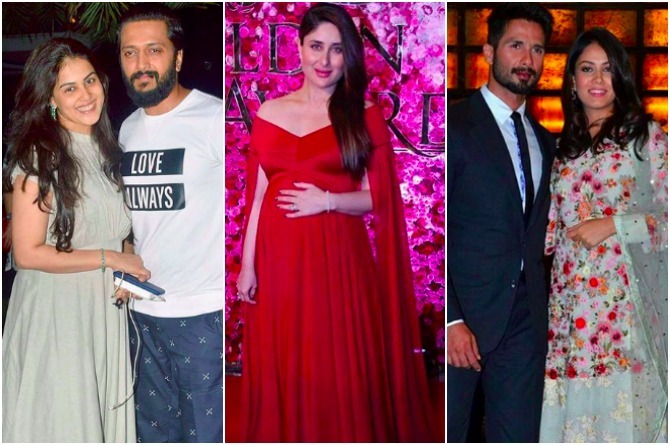 Well, we are talking about 9 Indian expecting celebrities who redefined maternity wear and made sporting the bump cool again! Click 'Start Gallery' to see how these 9 fashionable mums dressed up or are dressing up their gorgeous baby bumps. Kareena has added a new workout regime to her yoga session and it's a winner for weight loss!